A huge thank you to everyone who responded to the notice in intimation sheets in January and February about donating men’s clothes and shoes to homeless men and those on the breadline via Edinburgh's Care Van and night shelters. Now established in our Church calendar, a Christmas day lunch took place in the Carriage House, following the morning service, to provide food, fun and fellowship, primarily for those who might otherwise not have shared a meal with anyone on Christmas Day. We're seeking to build this event year on year and to encourage wider participation from the church and local community. In August 2014, the Church community came together on a sunny Sunday afternoon for a barbecue. Donations plus the sale of tickets generated £500 which was given to Starfish Malawi to cover the cost of a new toilet block at Glad Tidings Orphan Centre in Salima, Malawi - a place where one of our members was going on a short-term mission trip. Thanks to all who came along to our annual Christmas Fair where many excited children met Santa. We welcomed and fed record numbers and raised £1,500. 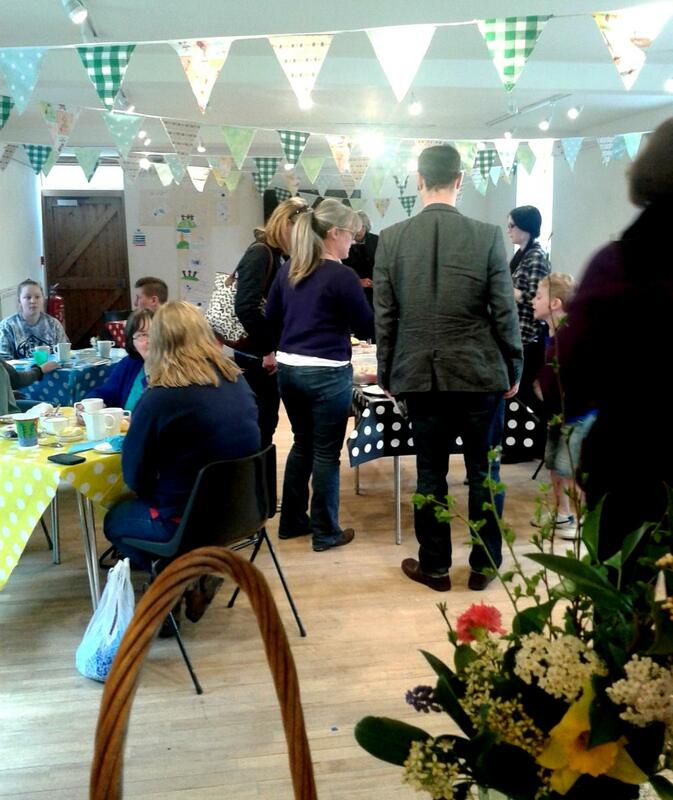 Thanks too to all those who made beautiful crafts and baked fabulous cakes, some of which are pictured, below. It was a happy day that is now established as a village fixfure. Please put the 2015 date in your diary - Saturday 5 December. 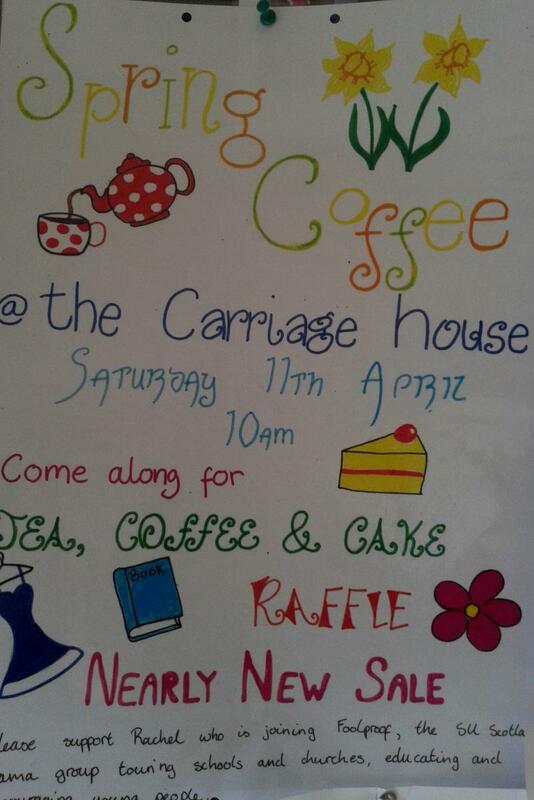 We look forward to seeing you in the Carriage House between 11am and 3pm. One of the most enjoyable events of 2014 for the Church community was an evening of Rhythm & Rhyme held in the Carriage House in June to raise funds to support the work of Open Doors. Around 40 people attended and £540 was raised. The evening also served to highlight the talent that exists in our community. Most of the music and poetry was written by the performers themselves. Here's our first website wedding photograph and isn't it beautiful! Olivia Scholze, younger daughter of Robert and Marilyn, married Keith Colgan on Friday 14th September. 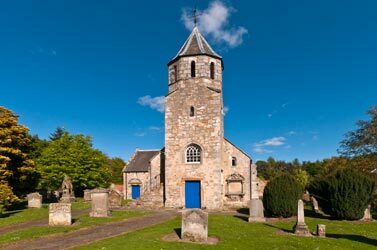 The service in Pencaitland Parish Church was followed by a reception at Whitekirk Golf Club. A truly happy day!